Operations manuals are used for several reasons, among them are: to on-boarding new employees, opening and running a second agency, risk management and added value. New care managers and employees need to be trained. 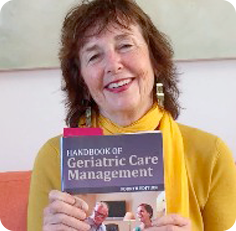 The operations manual is often used to ensure that new geriatric care manager training is consistent and accurate and offers a “Four Seasons”, gold standard of care to private clients. Without this, employees are trained by the most experienced GCM, who -if you grow –is not you the director/founder. Without an operations manual with specific procedures, they may or may not be doing things the way the director wants and needs it done. So that gold standard can go down to scratched aluminum. Operations manuals eliminate this confusion and risk of losing cases, money and your brand of concierge service. By ending confusion and documenting the required systems and routines, the geriatric care management practice can grow and duplicate. Replication of high standards is the key to becoming a prosperous geriatric care management agency. The most successful business in the world use operations manuals. They use and maintain operations manuals because they create consistency and uniformity and replicated high standards. National programs who warn you of tsunami, like NOAA. ,have operations manuals. Don’t you the GCM business owner want to be warned of a tsunami that might hit your business??? ?